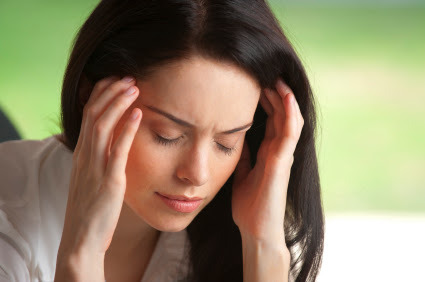 Tinnitus is a common problem affecting a large number of adults. In fact, the Hearing Health Foundation estimates that tinnitus affects 1 in 5 adults and 3 in 5 returning military service members. Knowing the symptoms is the best way to begin alleviating any problems that come with this condition. Tinnitus is a hearing problem that results in the perception of a consistent noise or ringing in the ears. Instead of being the problem itself, tinnitus is actually the symptom of a number of different conditions, usually associated with hearing loss. These include hearing loss as the result of aging, the effects of an ear injury, or even disorders of the circulatory system. Although tinnitus can be frustrating, it is not necessarily a dangerous or serious condition and can be alleviated with a number of treatments. Because it may be the result of many different conditions, the symptoms of tinnitus may be different for everyone. It generally includes ringing, buzzing, roaring, clicking, or hissing sounds heard in the ear when there is no external source. These sounds may occur in one or both ears and can grow in volume so much that it interferes with the ability to concentrate or to hear actual sounds. Tinnitus may also come and go, and it is not necessarily a constant “phantom” noise. Since tinnitus is a symptom and not a cause, in order to treat it, one must understand the underlying condition. Experienced audiologists can provide fast and effective care. These professionals will assess the causes of tinnitus using hearing tests among other methods, and treatment may include removing impacted earwax or assessing and treating an infection. However, the majority of tinnitus cases come as a result of untreated hearing loss; therefore, more often than not, hearing aids are used to treat tinnitus. Hearing aids increase the ear’s ability to detect and process external signals, including speech and other sounds. This allows the perception of external sounds to be amplified over the lower sounds of tinnitus. Many modern hearing aids may also be combined with masking devices. These devices emit specific noises that can actually block out the phantom noises that are heard as a result of tinnitus. Because tinnitus is so common, many may experience the symptoms and think nothing of it. But if you’re experiencing any of these symptoms, call Associated Hearing Professionals at 314-725-2686 today to make an appointment.